Fall's here! I think one of the most memorable thing about fall is the color palette it ushers in...plus all the pumpkin spice lattes. Here's a great collection to get your hands on this season...Zoya's Entice collection, full of Fall, and maybe a few winter cremes. I was really inspired by one color in particular, Ryan. 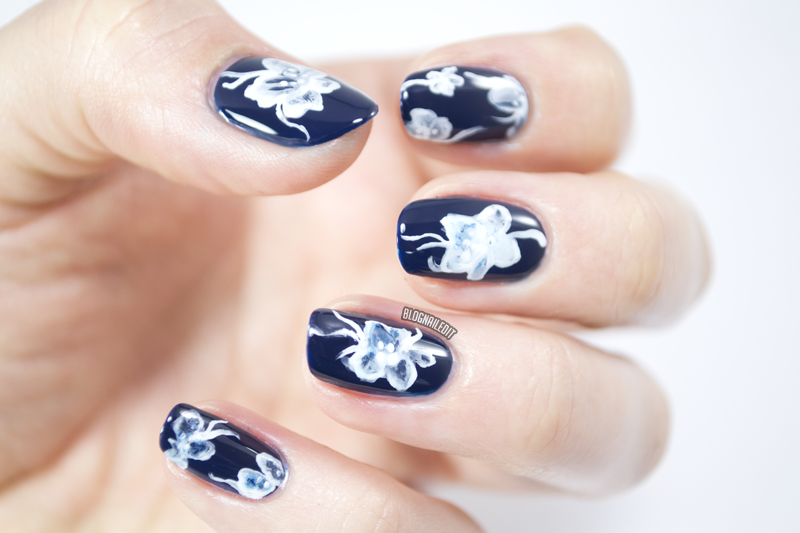 So I used it as a base for these rough, watercolor floral nails. Ryan (2 coats) is a royal, jewel-toned dark blue creme. It's definitely unique to my collection. Claire (2 coats) is a deep brick red creme. Somewhat brown, it's perfect for fall. Geneviev (2 coats) is one of the colors I'm unsure counts as stereotypically fall. It's gorgeous nonetheless. It's a strange formula because it has just a tiny bit of a pearlescent sheen in the dusty slate grey blue base. Margo (2 coats) is another amazing color. It's a deep dark, yet bright purple-pink. All the little girls who loved pink toes would grow up to wear this in the Fall. Nyssa (2 coats) reads totally Fall. A great, milk chocolate caramel color. Last but not least is Veronica (2 coats), which is a creamy mulberry - a "no duh!" Fall shade. Like most Zoya collections, Entice comes with a complementary collection, which is called Ignite. It'll be up here at Nailed It soon, so stick around for that. In the meantime, pick up the Entice collection here just in time for Fall! I love all, but to freehand manicure it's so cute!!! 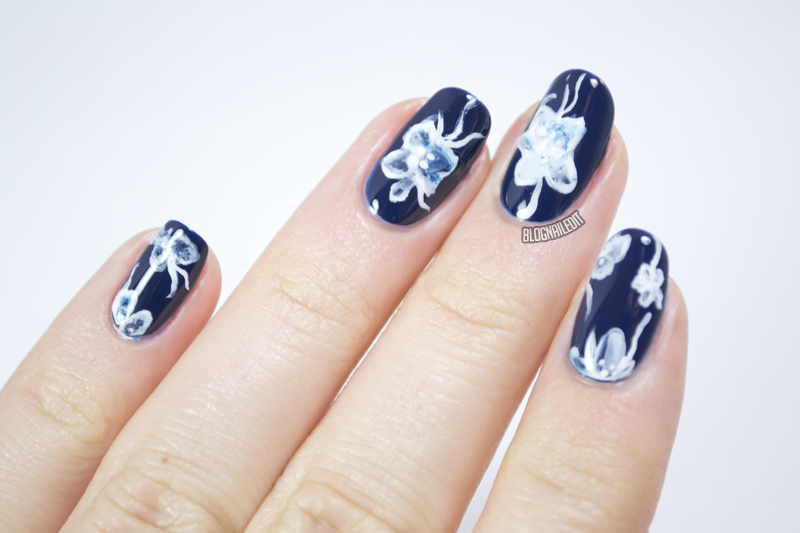 Super nice, I love the nail art you do in the first pic! !